The green of the hills in the summer sun, the black darkness of the cellars, the white and red of the wine carefully poured into your glasses: all add colour to a journey that brings you to the region of Piedmont. This land, with its ancient wine tradition, is just an hour from Milan. Here you can admire the historical region of Langhe, and enjoy art, food, wine-tasting, and the superb landscapes which are the essence of Italy. 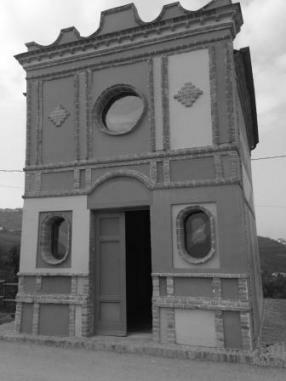 In Barolo, you will visit the recently renovated wine museum (WiMu) and the unique Corkscrew Museum. The historical winery of the Marchesi di Barolo is also on the itinerary. Here you can admire twentieth-century wine barrels (barriques) still used in Barolo. Taste wine in the fascinating cellars at Vajra (home to the only wine cellar in the world with stained glass windows) or at the Montezemolo vineyard, where the history of nobility and wine-making create a unique atmosphere. And, in the middle of these vineyards, you will discover the surprising and colourful Chapel of Barolo by the American artist Sol LeWitt.